Der Artikel Antonin Dvorak (1841-1904): Symphonische Dichtungen wurde in den Warenkorb gelegt. Dvorak composed his Symphonic Poems shortly after the American triumph of his "New World Symphony" and after completing his beautiful final string quartets (Opp. 105 and 106). The first three poems were first performed in 1896 in London, while The Wild Dove was premiered in March 1898 in Brno by Leos Janacek. The recordings on this CD are interpreted by the Czech Philharmonic, conducted by Sir Charles Mackerras, a paramount musician and connoisseur and champion of Czech music. 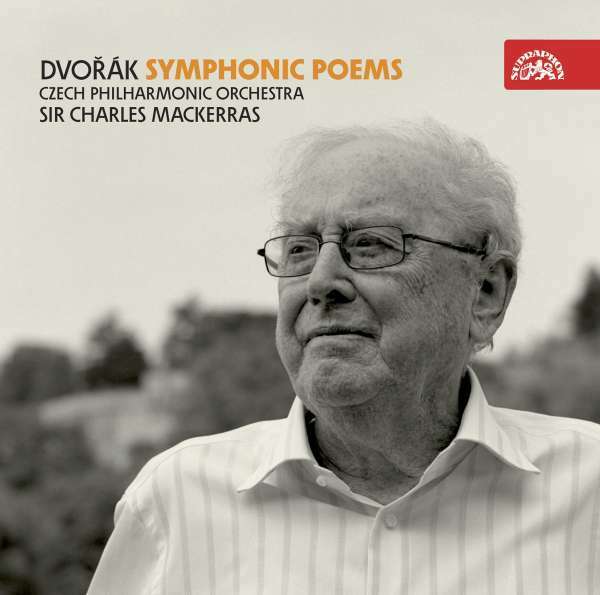 The poems round off his legacy in Dvorak's symphonic oeuvre, from which he has recorded for Supraphon, for example, Symphonies Nos. 6, 8 and 9, Slavonic Dances and Symphonic Variations. Sir Charles's performance of Dvorak's works interweaves the splendid Talich tradition and profound knowledge of the composer's work. 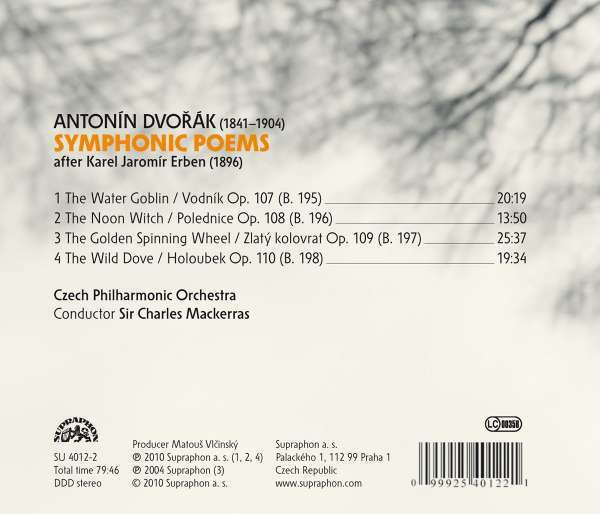 The live recording of The Noon Witch and The Water Goblin reflects the warmly poignant atmosphere of the conductor's parting with the Prague audience. The triumphant recording of Martinu's Three Fragments from the opera Juliette (Gramophone Award 2009) was made at the same valedictory concert. The studio recording of The Wild Dove is the final culmination of the long-term collaboration between Sir Charles and the Czech Philharmonic Orchestra. FonoForum 06 / 10: " Mackerras gelingt mit der vorliegenden Einspielung erneut eine Produktion, die sich durch anhaltende Frische, technische Präzision und zeitlose Modernität leicht den Status einer Referenz erobert."